Preservation Tree Services is one of the first organizations in the country to earn Accreditation from the Tree Care Industry Association. Individual staff members are certified by the International Society of Arboriculture and company president, Harold Spiegel, is actively involved in local environmental and sustainable organizations. Members of our staff hold degrees in Botany, Plant Pathology and Urban Forestry. 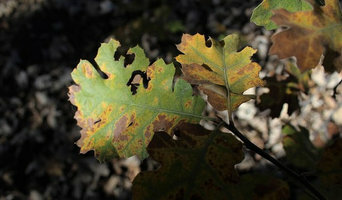 We hold certifications in Oak Wilt management and Tree Safety. If you are builder in need of construction mitigation to protect beloved, established trees on property, please contact us. We believe in the protection and continued safety of trees and their human families. With Sal’s Landscape & Tree Service, all your outdoor maintenance needs can be handled in one visit. 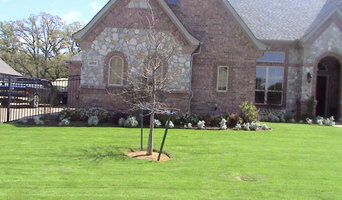 We offer complete tree service and custom landscaping, from removing entire trees to trimming the rose bushes. Our comprehensive landscaping services and flexible hours are designed to accommodate even the busiest schedule. With just one phone call or email you’ll have the company offering the most helpful maintenance services around! Sal’s Landscape & Tree Service has more than 12 years of professional experience in everything from tree removals and planting to lawns and drainage. Nothing’s too tall or too small—we’ll trim and prune it all! Contact us today for a fast, free estimate on any type of tree or landscaping service. Be sure to ask about our 10 percent senior discount too! Treefix is a friend of trees. Rethinking tree service in Dallas, Austin and Tyler, TX. We heal tree diseases, prune trees to perfection and save dying trees. Preventing tree removal by keeping trees healthy! For more than 25 years, Western Landscape Maintenance has been committed to providing the most eco-friendly, aesthetically pleasing and cutting-edge solutions for today and tomorrow's environmental challenges. We are a full service landscape provider specializing in tree services. Give us a call today - we look forward to working with you! Back yard nursery. 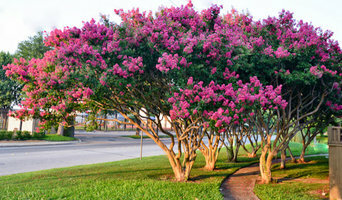 Grow over 20 varieties of crape myrtle trees and a few other plants in quart containers. We are a local, boutique tree service led by a Certified Arborist and committed to raising the tree care standard in DFW. My name is Manny Velastegui. A tornado hit my house the day after Christmas in 2015 and I was responsable for cleaning the many fallen trees. I felt like I had a knack for using a chainsaw and decided to turn it into a job. We are a local startup that started in 2016. These services are all provided by a team that is committed to providing excellence in the Dallas-Fort Worth Area. As members of the Texas Historically Underutilized Business Program and the Women’s Business Council of the Southwest we are proud to be strong representatives of our local community. Our team is a diverse bunch that shares a passion for security. We’ve served doctor’s offices, attorneys, CPA’s, and many other businesses in the area all with the desire to keep Texans’ private information secure in an eco-friendly way. Justin's Tree Service is your number one Dallas tree maintenance and other tree services. What are you waiting for call us now at 214-802-9296. Our uncompromising approach to customer service along with our intention to be the best Dallas tree service company has fueled our growth for over 20 years! 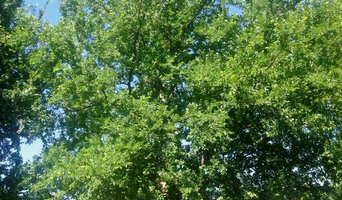 We are a full service tree company serving The Dallas Fort Worth Metroplex. In our daily travel all over the Dallas Fort Worth Metroplex, we are constantly reminded of the irreparable damage done to countless trees caused by incorrect or improper trimming and/or pruning. You can count on the experts at Hunter's Tree Service to offer reliable and efficient tree services to Richardson, Texas and the surrounding areas. At Hunter's Tree Service they specialize in residential tree care services, commercial tree care services, emergency tree care services, dead and damaged tree removal, stump grinding and stump removal, tree trimming services, tree pruning services, tree removal services, shrubbery care services, and shrubbery removal services. Eshop Flowers was founded in 2001, with more than 11years experience in the Flower Business. The continuous support and encouragement from our valued customers has helped us to establish and expand our business all these years. With over 11 years experience, we are the experts in farm direct flowers. We are Trimming and Removal Specialist -- We are committed to excellence, we take pride in and enjoy our work. We are dedicated to 100% satisfy our customers. Trees are a valuable asset to any property. A professional arborist can help manage those trees for maximum benefit to the uses of your property. At Tree Shepherds, we like to start with a consultation on-site with our clients and their trees. We charge for the consultation, but in the long run, our clients save money by doing only what is really necessary for the long term care of their trees. The cost for the consultation/diagnosis is $75-$125 depending on distance from our office. If all you want is an estimate for pruning or removal, we will provide that free of charge, but we do ask that you are serious about the estimate. 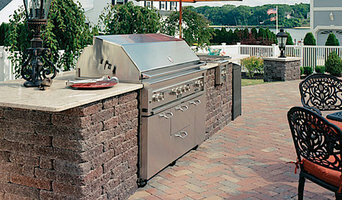 If price is the key factor in your decision, there are contractors that will provide less expensive options for you. Our Arborist will provide professional guidance and save you money in the long run. Many times services are not needed and our arborist will explain why. For those that like to do work themselves, our arborist will explain what needs to be done and how to do it. After a consultation, our arborist is available via e-mail or phone for follow-up questions, for no charge. The experts your trees deserve, providing expert tree pruning, stump removal, and tree care in the Dallas-Fort Worth area since 1981. Arborilogical Services has the expertise you have come to trust. Whether you’re planning a new garden or landscaping an existing one, an arborist can also advise you on the best tree selection for your Dallas, TX environment, assist in planting, and can provide you with a long-term maintenance plan. Furthermore, they can help you diagnose any insect problems or diseases threatening existing plants in your yard. If you want to relocate a tree, an expert in arboriculture can give you advice on what it will need to flourish, and will replant it accordingly. Other services include hedge and shrub trimming, tree pruning and mulching. Tree contractors and arborists in Dallas may work in conjunction with landscaping professionals to create a seamless design. Here are some related professionals and vendors to complement the work of arborists & tree services: Landscape Contractors & Gardeners, Landscape Architects & Designers, Garden & Landscape Supplies.